What’s driving the exploding cost of care? In most cases, it’s lack of program integrity, which has resulted in unacceptably high levels of fraud, waste, abuse and corruption. 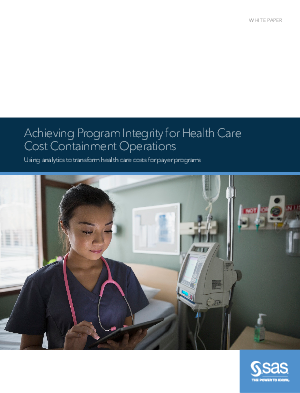 The damage caused by program integrity breaches goes beyond losses and spiraling health care costs. There’s clearly a pressing need for better health care payer program integrity, the goal of which is to ensure accurate payment and cost control through fraud prevention and elimination of wasteful, duplicative and unnecessary administrative processes and medical care utilization.